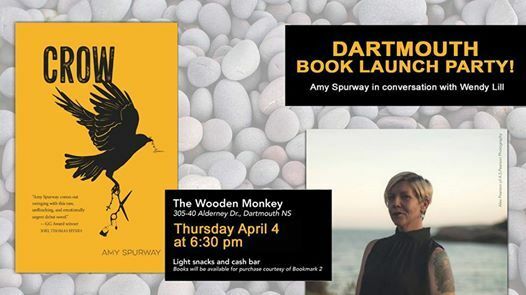 Crow: Dartmouth Book Launch Party! 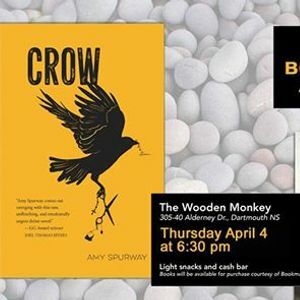 Join Amy Spurway, in conversation with Wendy Lill, for the Dartmouth Book Launch Party for her debut novel, Crow, on Thursday April 4, 6:30 pm, at the Wooden Monkey, Dartmouth. Crow is a novel crackling with sharp Cape Breton humour, big twists, big drama and big personalities. Spurway is an original voice that won’t be forgotten. 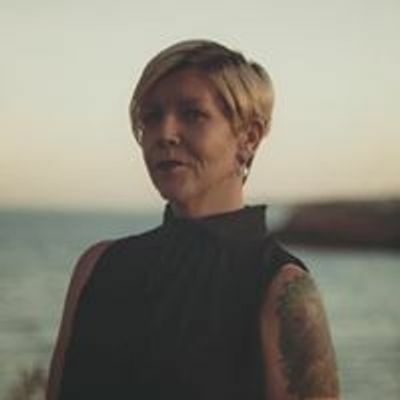 Amy Spurway was born and raised in Cape Breton. She lives with her husband and three daughters in Dartmouth. Books will be available for sale from Bookmark. Light snacks and a cash bar.